Our product range includes a wide range of rf tx ht12-e and 315mhz rf wireless receiver module & transmitter module. An RF module (radio frequency module) is a (usually) small electronic device used to transmit and/or receive radio signals between two devices. In an embedded system it is often desirable to communicate with another device wirelessly. This wireless communication may be accomplished through optical communication or through radio frequency (RF) communication. For many applications the medium of choice is RF since it does not require line of sight. RF communications incorporate a transmitter and/or receiver. 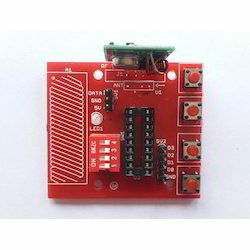 Looking for RF TX RX Module ?